If your future could talk to you, what would it say? Today, you have more choices than ever in what you will do after retirement as well as in how you can save and prepare for this new phase of life’s journey. But with these choices comes greater complexity. 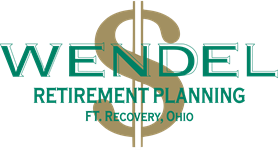 At Wendel Retirement Planning, our goal is to help you navigate the changes and decisions you face as you prepare for retirement. Whether you are deciding how to allocate the dollars in your 401(k), reevaluating your long-term savings strategy, or getting ready to convert your hard-earned savings into retirement income, we can help you every step of the way. We can help you understand the complicated, ever-changing landscape of tax law and various financial options. At the same time, we can serve as a compass, providing disciplined guidance to help keep you on track to meet your goals.